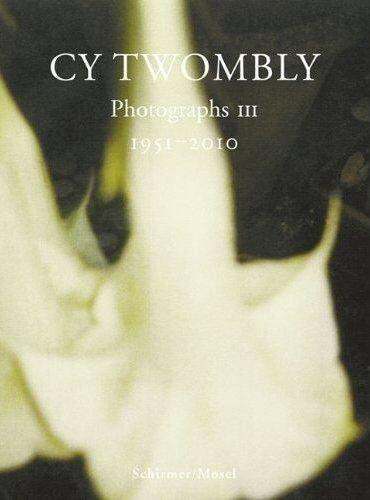 Cy Twombly's photographs are a late revelation. The painter, world-famous for his scribbled abstract paintings and his nervous drawings, has been a prolific photographer from his early student days. In this late stage of his career, he unveils his poetic treasures step by step. The new volume Photographs III brings together early works and combines them with flower studies and studio interiors. Most interesting are Twombly's photographic studies on his own paintings and sculptures, casting a special light on the interpretation of these works. The book features some 130 hitherto unpublished photographs. It accompanies an exhibition that starts off in Munich in 2011 and will then travel through Europe. With an essay by art and photo historian Hubertus Von Amelunxen.